Structural Insulated Panels (SIP) have enjoyed growing popularity as interest in building energy conservation has increased. With its large, prefabricated, factory insulated panels, SIP construction offers nearly continuous insulation, fewer joints than conventional frame construction with stud-cavity insulation, and possibly speedier construction in the field. A SIP thickness equal to a sheathed 2×6 wall can offer a thermal value about 1.5 times the value of the conventional, fiberglass insulation in the 2×6 wall, and the increase in insulation continuity adds even more comparative thermal value than the label can document. However, the excitement over SIP thermal value and speed is not always accompanied by a sufficient level of attention to effective moisture management. SIP panel joints and connections with doors, windows, and other penetration must be made air tight. 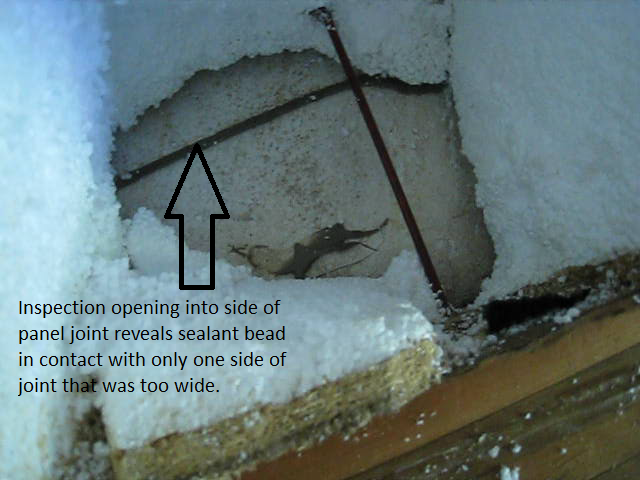 Panel joints that rely on a bead of caulking to seal the gap must be tight enough for the bead of caulking to close the gap; if the joints are too wide (as in the top 2 photos below), air can leak through the panel joint and lead to condensation and other moisture related problems. 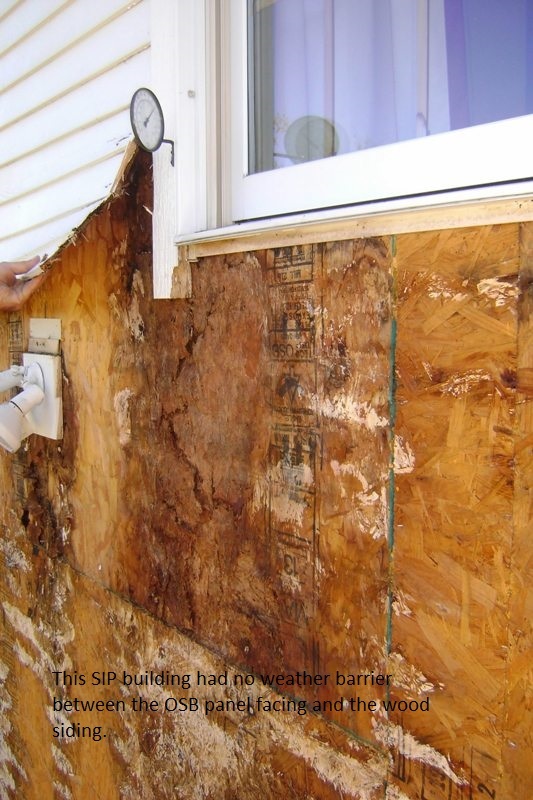 Also, SIP panel skins like OSB (oriented strand board) are typically not impervious to water, so they need to be protected with a properly lapped and flashed exterior weather barrier / drainage plane that will keep water away from the panel skin. 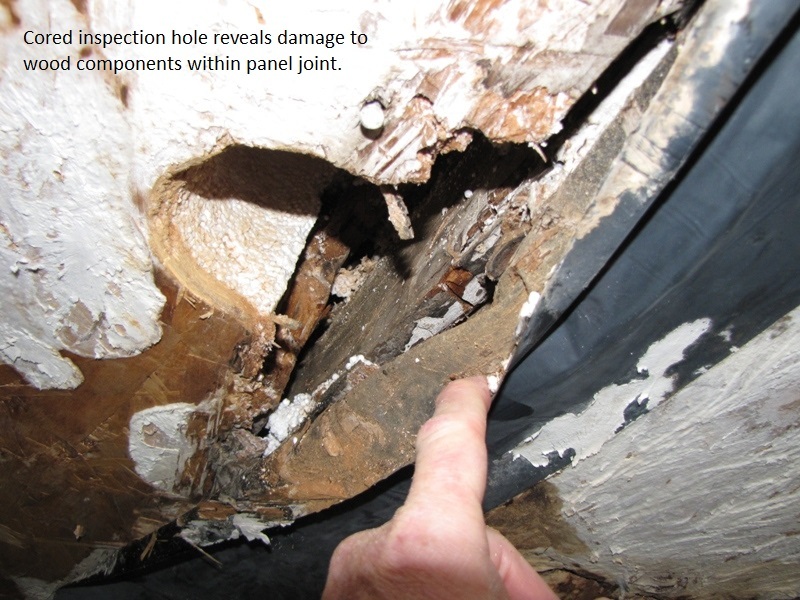 Omitting the weather barrier can lead to destructive rot when weather-related water penetrates siding (as shown in the third photo below). Moisture management also extends to humidity control: an effective mechanical system that maintains a non-damaging humidity level 24/7 is necessary in a building that houses a swimming pool. 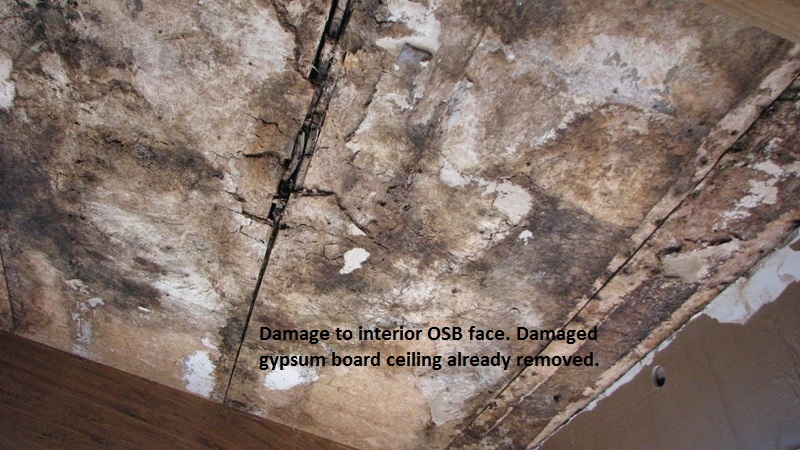 And in that kind of building, a moisture sensitive material like gypsum board should not be used as a ceiling, especially where it is attached directly to the underside of SIP roof panels with an OSB interior face (see resulting SIP damage in bottom photo below). So, SIP building performance depends on effective moisture management, including properly fitted and sealed joints, protection of SIP panel skins from damaging exterior and interior moisture, and adequate interior humidity control.